Informal education is provided to children and women of the area. Today, it targets around 100 beneficiaries under its ambit. There are two classrooms where informal education with computers and recreational activities is conducted as per the routine of the school-going children and the women. The project Vinaya deals with informal education. This was started on a pilot basis in Bhanwar Singh Camp. Today the project is able to engage more than 100 people in the camp. Since the arena of education is constantly evolving and the world is becoming more competitive each day, there is a huge scope to evolve the methods of education with it. Viewing our work, more residents of the camp are interested to engage with programme and change their lives for the better. Hence, the sustainability will automatically be maintained with more community participation from the camp residents. Moreover, the project has replicable values. Hence, it can be replicated on a small or large scale all over India, affecting the lives of more people living in the slums and improving their conditions of living. Vasant Vihar, New Delhi and dangerous for them and for others. Organized health check-up camp too. For CRPF. 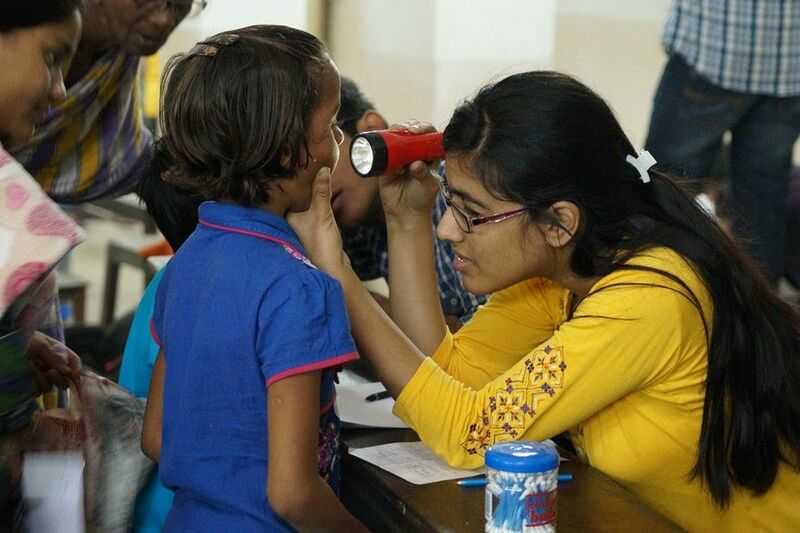 Even after decades of freedom, the camps also majorly work on India is struggling to provide basic building awareness regarding Health services to its people. Common ailments, family planning. According to government sources, methods, nutrition and hygiene and in India 45 children die every hour sanitation. These camps provide due to respiratory infections, 1 comprehensive health services free child dies every 2 minutes due to of cost. On organizing regular health from any disease. Parts of Uttarakhand like toilets for sanitation purpose. 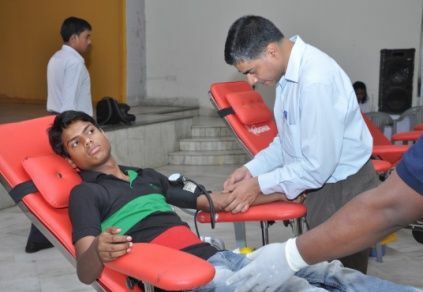 The voluntary blood donation camp was organized on the world’s blood donor day the 14th June. Growth foundation and Abhyuday foundation both with full coordination motivated at least 250 voluntary donor over website of growth foundation and Abhyuday foundation. The voluntary blood donation camp was inaugurated by the founder-Director of both the organizations, i.e. Mr. Nirmal Pathak and Mr. Prabhat Kumar Dwivedi and even by all the members associated whit the growth foundation and Abhyuday foundation who also had voluntarily donated blood for the cause. The event was rested on the message line of “someone somewhere needs blood”, the only manufacturing unit of blood through proper registration process donors. The total footfall of the event has been 925 out of which 719 voluntary blood donors were the fortunate members who successfully could donate their blood for the cause. Trauma center blood bank, and Delhi aids control society New Delhi. 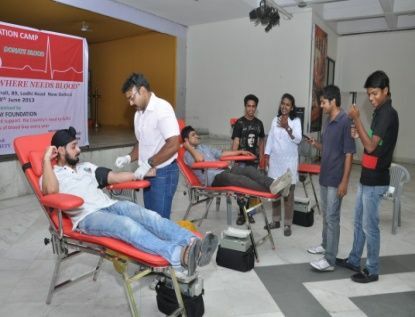 The voluntary blood donation camp was organized on the world blood donor day the 14th June. Growth foundation and Abhyuday foundation both with full coordination motivated at least 250 voluntary donors over website of growth foundation and Abhyuday foundation. The organizations, i.e. Mr. Nirmal Pathak and Mr. Prabhat Kumar Dwivedi and even by all the member associated with the growth foundation and Abhyuday foundation who also had voluntarily donated blood for the Couse. The event was rested on the message line of “someone somewhere needs blood’, the only manufacturing unit of blood through proper registration process donors. The total footfall of the event has been 925 out of which 719 voluntary blood donors were the fortunate members who successfully could donate their blood for the cause. 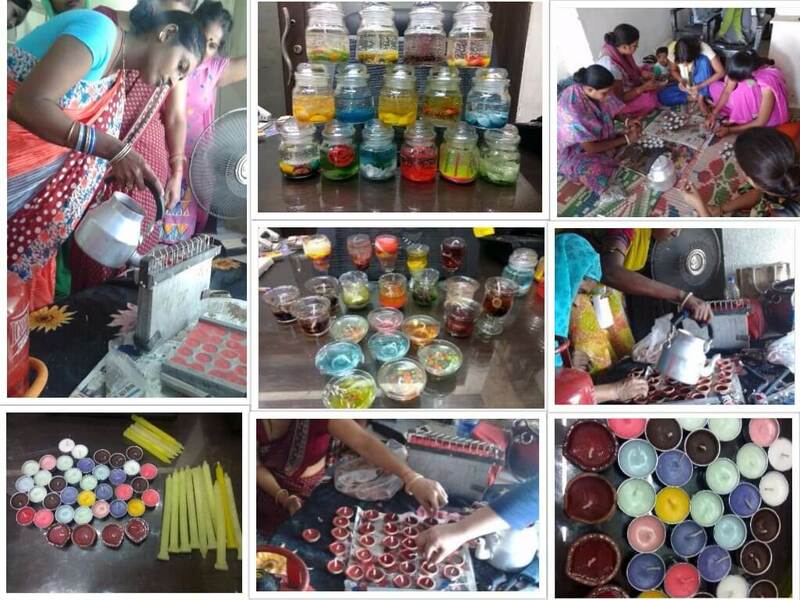 Empowerment through Candle Making during Diwali. The project was successfully carried with help and support of the members of the organization. This project helped many women in providing employment and building self confidence among them. It has also enabled more children of these women group to attend school instead of being forced into agricultural or child labor. ● To provide adequate knowledge of computer. ● Personality Development of the student: This program not only focuses on the syllabus but also pull out the hidden abilities and inner power of the student. Basically it tries to bring out and built the personality of the student. All the participants were over whelmed with workshop; they also gave their individual reviews and were thankful to us for conducting the workshop. They also reviewed that many of them have language issue and wants us to pay much attention on that point. Also to the addition, every participant was provided with one T-shirt by Ministry of Tourism and Snacks for the evening. Last but not least, every participant was very positively indulged in the workshop and wants us to conduct another workshop soon for them. Growth Foundation of India celebrated World Yoga Day on 21 June with the major corporate company named FOODPANDA. In this world the stress levels are higher than the pollution levels. Every office that breathes a yoga instructor to teach the importance of yoga in daily life. Instructors gave the lessons of some basic and important Aasans and their benefits in various body parts. More than 80 employees were joined the yoga sessions and took the benefit of it. This year, our organization celebrated women’s day in the Bhawar sing camp with the agenda to spread the awareness among women about their rights and responsibilities. This was ma. Salsa Sharma, an aspiring biker who had travelled the whole India in bike. She shared her personal experience about the life and trips. A lot of women were inspired by her speech and her life. GFOI organized many games and quizzes were also distributed among them. Our initiatives include research, campaigns, policy interventions, building capacity among those engaged in recycling, and creating awareness about the need for reduced consumption and better waste management among the middle and upper classes. 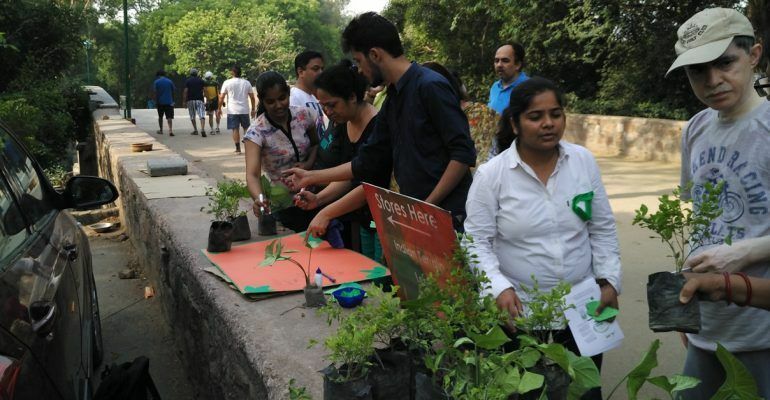 Growth Foundation celebrated world environment day on June 5 by donating plants to the people with the message to take care of the environment and how much it is important for the survival. 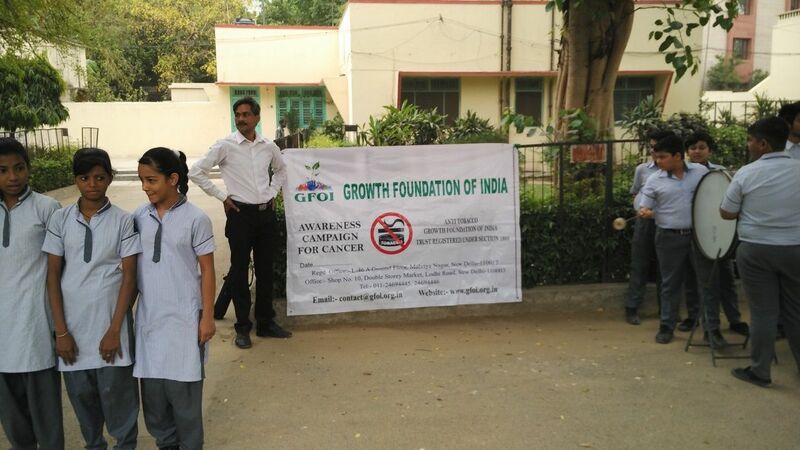 On this day growth foundation also distributed more than 350 plants in various places of Delhi. 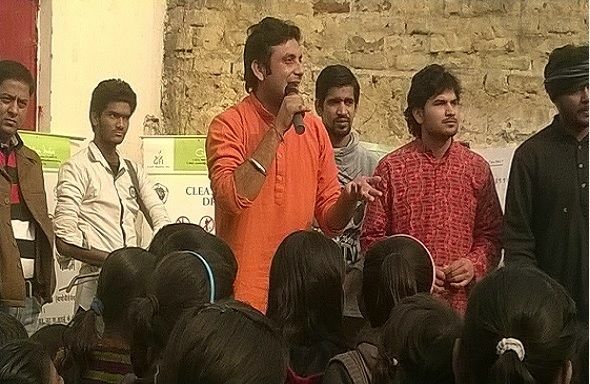 And along with that GFOI conducted a street play to spread awareness on the importance of nature. On this event, almost 500 people took a pledge to support our cause. 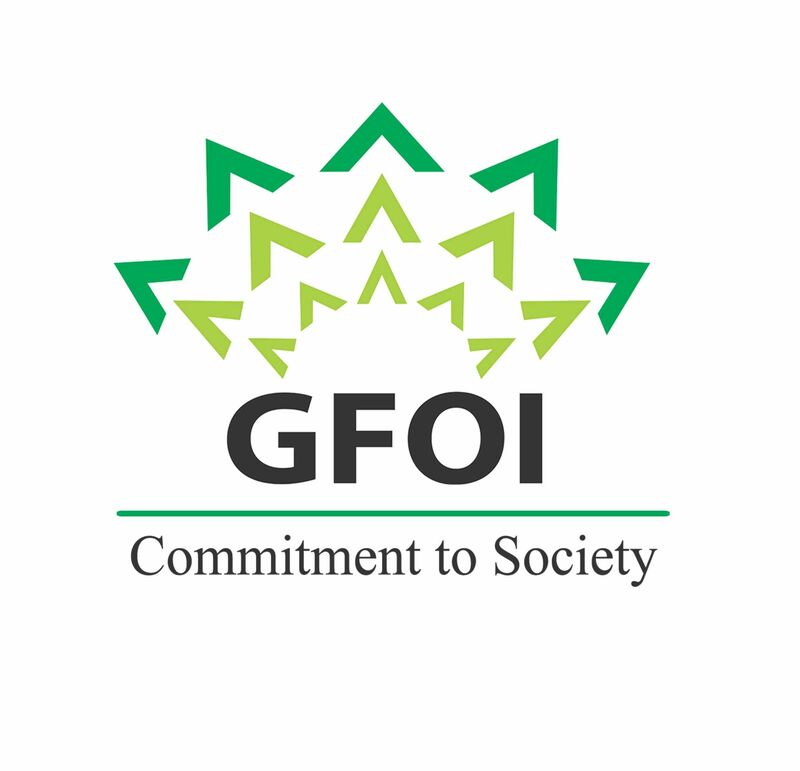 Growth Foundation of India (GFOI), plays a critical role in addressing issues that are overlooked or ignored by government and industry. We helped in raising knowledge and awareness by organizing many campaigns and awareness programmes in many schools of Uttarakhand, the children were made aware of why tobacco is harmful and how does it cause cancer, the children were also informed about the importance of a healthy lifestyle and consuming nutritious food. 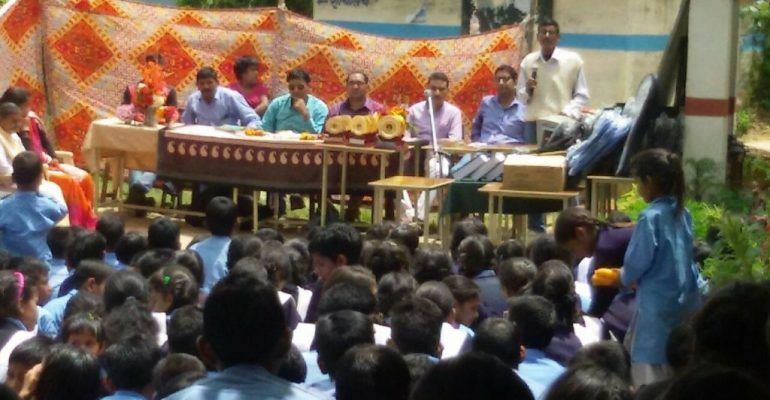 The anti-tobacco campaign was also been organized by GFOI in different schools and areas of Uttarakhand. 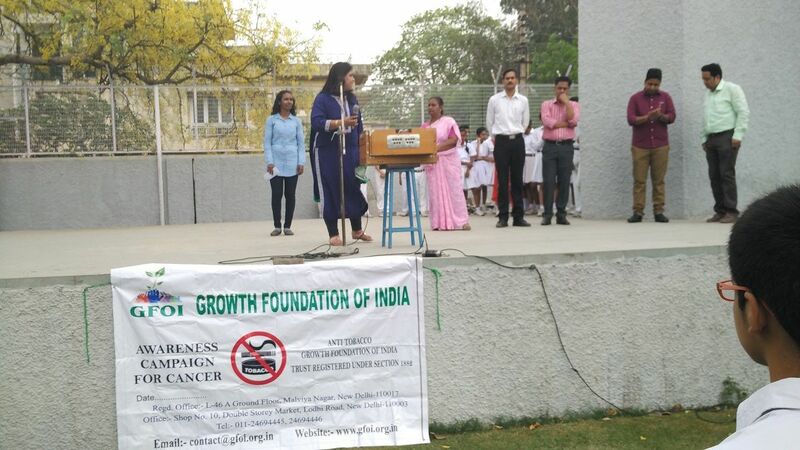 With the help of different acts like the Puppet show and nukkad nataks (street plays), a message of cancer awareness was passed among the children. Causes and consequences of cancer were shown to children and also measures to prevent them were taught to them. The aim of the campaign was to help children understand the root cause of disease. Over 12250 children were covered under this cause. 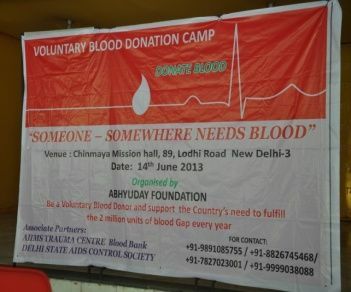 Growth Foundation of India with assistance and cooperation with Abhyuday Foundation Organized Blood Donation Camp with help of Chinmaya Mission International, 89 Lodhi Road New Delhi-110003, Hall in collaboration with AIIMS Trauma Centre Blood Bank, and Delhi AIDS Control Society, New Delhi. The Voluntary Blood Donation Camp has organized on the Worlds Blood Donor Day the 14th June. Growth Foundation and Abhyuday Foundation both with full coordination motivated at least 250 Voluntary Donors over the website of Growth Foundation and Abhyuday foundation. The Voluntary Blood Donation Camp was inaugurated by the Founder – Director of Both the organizations, i.e. Mr. Nirmal Pathak and Mr. Prabhat Kumar Dwivedi and even by all the members associated with the Growth Foundation and Abhyuday Foundation who also had voluntarily donated blood for the cause. The event was rested on the message line of “Someone Somewhere Needs Blood”, the only manufacturing Unit of Blood through proper registration process including pre – Counselling to the Donors. 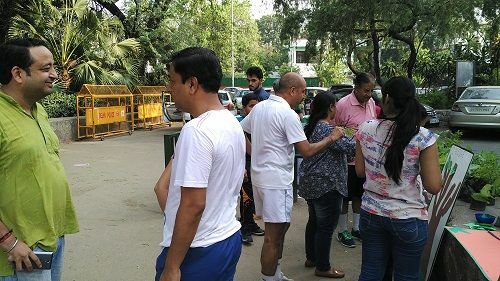 The total footfall of the event has been 250 out of which 124 Voluntary Blood Donors were the fortunate members who successfully could donate their blood for the cause. 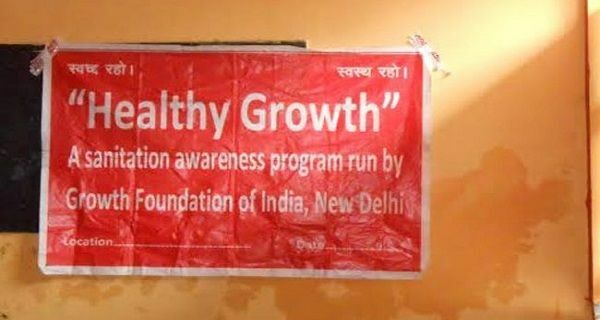 Growth Foundation of India had done a huge Awareness, Educational & Training program, and workshop in many slums and schools. GFOI have set- up Health check- up camps in Bhawar Singh Camp, Vasant Vihar, New Delhi and organized health check-up camp for CRPF. We have been constantly spreading awareness by distributing booklets, Books, and learning material. The children are taught about proper hygiene practices to preserve their health. They are told that regulated life is very helpful for a good health. Above all, the mind too must be kept clean and pure. GFOI also had done awareness program related to toilets, where we hired experts who taught the people of various slums of Delhi and Uttarakhand that why it’s important to keep your toilets clean and how doing it in open is dangerous for them and for others too. Current Awareness Program : In pursuit of this Consumer Awareness Programme to raise awareness among the consumers towards their rights and responsibilities. The duration of the project was of one-year. 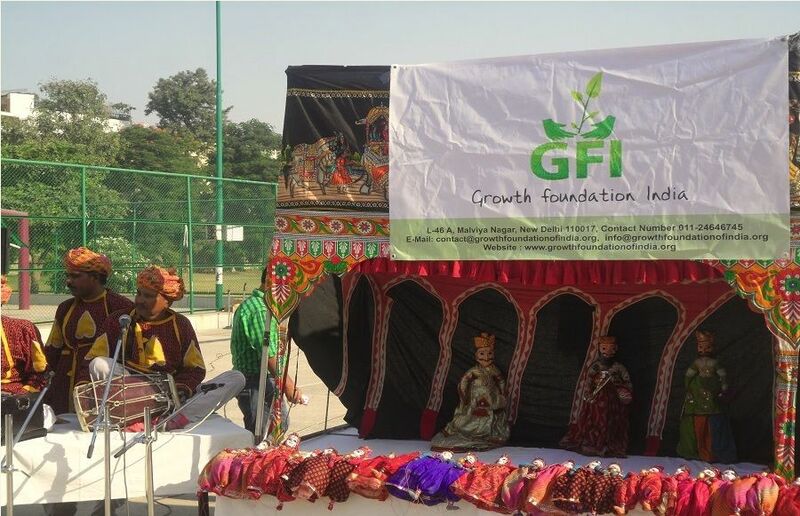 The school invited Growth Foundation of India, an NGO; which presented a puppet show on the importance of cleanliness. 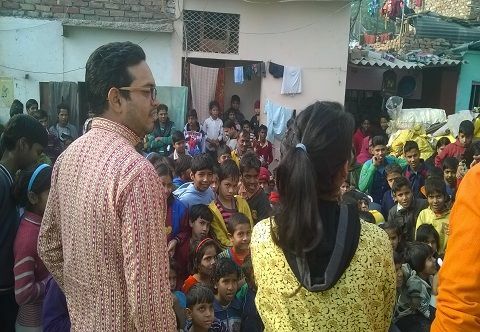 A street play- “Savdhani, Samajhdari and Bachav” was performed by the team of Sambhavana Natya Manch, a unit of Department of Disaster Management to highlight the need of clean environment in the school and locality. States Day was organized wherein the children of class 4 displayed the handlooms, cuisines, costumes and handicraft of different states to exhibit the rich culture and heritage of India. Various competitions and activities like slogan writing, best out of waste, poster making, quiz, crossword, badge making and Inter House Folk dance were held during the week. Our Students brought laurels by winning the 1st and 2nd prize in the Health Mela which was organized by MTNL at Talkatora Stadium on 15th and 16th October’14. The students participated enthusiastically in the activities and competitions.